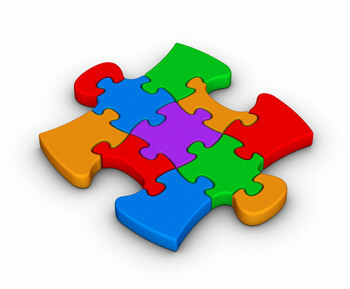 Category Archives for "Empowering Ability – Autism and other NDIS areas"
Autism in Teenagers and Older Children. All teenagers are going through changes. The ability to adapt and change is often one of the most difficult things for autism in children. Hence starting and working through secondary school can be difficult when children present with autism in teenage years. Symptoms of Autism in teenagers may continue yet present differently than autism in preschool and autism in ﻿primary﻿ school. The core difficulties of social communication and atypical behaviours remain in the teenage years. For some teenagers with autism there can be notable improvements as general maturity occurs. Some may establish new or more consistent ways of communicating with others. Changes in hormone levels and impact on mood and sleep. – feeling of hair on faces, legs etc., need to shave, increase smell of body odours, need to use deodorants or to shower more. ​Scheduling, structure and support in secondary schools can be notably less than in primary schools. There may be many changes in teachers, subjects and classrooms in one day. Teenagers with autism may have previously coped at school when rituals and routines had been constant. Continual changes in high timetables can cause notable distress in secondary school. In classroom help often gets more scarce in secondary school. Strong advocacy from parents or allied health may be required to keep supports in place. ​Learning strategies are left to students and assignment timetabling is placed more on the shoulders of secondary school students to initiate, plan and complete on time. ​Changes in friendship circles can occur between primary and secondary schools. Many children change interests during adolescence resulting in new relationships being forged. Autism in teenagers make it difficult for them to start new friendships all over again or maintain the old ones. They will often prefer to be on their own than interact with peers. It can be hard for teenagers with autism to have age-appropriate interests they can share with same age peers. ​Humour and inferencing can become more sophisticated in the teenage years. Humour is often less literal and can be based on play on words. Autism in the teenagers can result in many adolescents missing the joke or interpreting what is being said in a group in completely the wrong way. Autistic teenagers can have trouble reading non-verbal cues, like body language or tone of voice. They can find it hard to guess how someone else might be feeling – for example, they might not understand when an adult is angry based on tone of voice. They might not be able to tell when someone is teasing them or using sarcasm. Teenagers with autism may become more aware of their differences as well as how others see them. The feeling of being left out can be intensified by changes in hormones. May co-occur with ASD in the teenage years (Westwood, et al 2017). These disorders may evolve as sensory difficulties impact further on their food choices. 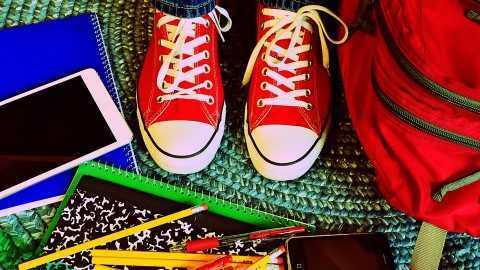 These medical concerns can also be the consequence of feelings of anxiety due to the changes they have to face in secondary school years. May emerge due to mis-understandings in social situations or frustrations with changes in schedules or interactions with others. The possibility of being expelled from school can loom if aggressive behaviours along with bigger and stronger teenage bodies intercept. May result due to the symptoms of autism in the teenage years becoming too much for them to cope with. Without sufficient supports they may find it hard to put into place their needs to meet their particular learning requirements. As noted in the page “what is Autism”, every child with autism will present differently. This is no different for autism in teenagers. Academic achievement in teenagers with autism will range enormously from low-functioning individuals to high functioning students. A lot of the research “group” teenagers with autism making it hard to speculate how one individual might manage at secondary school. One study by Jones et al (20o9) found that 73% of their sample of 100 adolescents with ASD found one area of learning that did not match what might have been expected for their overall IQ levels. One group presented with superior arithmetic skills compared to their overall IQ scores and these adolescents tended to be attending mainstream schools. The most common discrepancy however was poor reading comprehension in relation to their IQ. Severity of social and communication difficulties was frequently associated with the reduced reading ability. (e.g., very strong just in maths or poor in reading comprehension), supports in educational settings need to be put in place to maximise learning for these adolescents with autism. ​Jones CR1, Happé F, Golden H, Marsden AJ, Tregay J, Simonoff E, Pickles A, Baird G, Charman T.(2009) Reading and arithmetic in adolescents with autism spectrum disorders: peaks and dips in attainment. Neuropsychology. 2009 Nov;23(6):718-28Westwood, H., Mandy, W. & Tchanturia, K. (2017). Clinical evaluation of autistic symptoms in women with anorexia nervosa. Mol Autism. 2017 Mar 16;8:12. Is SpeechNet Experienced in Autism? Early and late diagnosis of ASD. Individual, group, CCC/school treatment and consultative services service for children with ASD form infancy through to 18 years of life. We aim to assist families along-side medical specialists to tease out if presenting difficulties are more likely to be aligned with autism or another diagnosis (late talker, language delay, intellectual impairment, dyspraxia, hearing impairment etc). We are able to provide an individual treatment plan for your child to assist them to meet their learning needs, Our goal is toassist them to participate in their particular community. As we work closely with OT, Psychology, Dietitians and physiotherapists that have all had notable experience with children with autism, our speech pathology services are offered within a holistic family friendly framework. ​For more information about our services take a look at the information links on this page for each specific age. Alternative contact us today for a no obligation chat about how we can help. When “Autistic kids” reach primary school age a whole new range of questions and decisions for parents and educational staff are required. 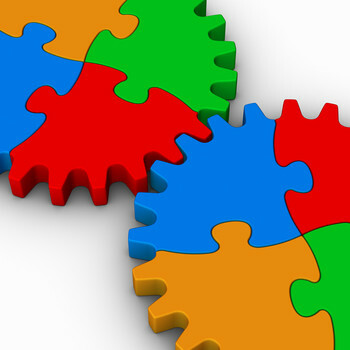 There is no one right path for autistic kids as they embark on the formal years of schooling. Autism is formally known as Autistic Spectrum Disorder (ASD) simply because every “school age autistic kid” will be unique and will fall in a different spot along the spectrum. 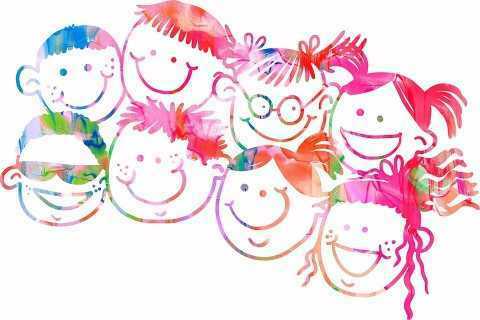 Many of the communication, non-verbal, interactional and repetitive behaviour issues identified for autism in the preschool years will continue on in the primary school period. One of the first and hardest decisions for parents is deciding on the right kind of schooling (special education units, mainstream, home schooling). Once this is decided, the “right school” or program for each child needs to be determined. ​As autistic kids are on a spectrum some will be low functioning on primary school entry. They may still not be talking, may have low intellectual abilities have poor interaction, attention skills or have disruptive behaviours when routines and rituals cannot be followed. Other autistic kids may be high functioning in terms of talking skills, high IQ and good learning potential. These children may need a primary schooling approach that can be supportive in terms of social, friendship development and ensuring the learning environment can accommodate learning styles/needs. The ability to learn to read, spell and write will be varied for autistic kids in the primary school years. The key is to identify strengths and use these to build on new learning. Early intervention to continue to boost language understanding and ensuring there is a means of communicating (speech, visual symbols, iPad communicators) is key for learning in the primary school setting. Goodwin et al (2017) in their study found that IQ and severity of the social symptoms of ASD were strong predictors of functioning at school age. ​Lanter et al (2017) found autistic kids with typical language development achieved significantly higher scores on an emergent literacy skills than those with mild-to-moderate or severe language impairments. ​Autistic kids in the primary school years may show splinter strengths as early reading skills are emerging. However, they may not be able to functionally apply these early reading skills to more holistic skills and learning tasks. For example, an autistic kid in primary school may be able to demonstrate strong letter identification (i.e., knows the letter names) but may not be able use these to spell or read. They may learn how to read words and short text but may not understand what they have read. They may be willing to read text that matches their passions or obsessions but will not attempt “expected” classroom tasks. Can Autism be diagnosed as late as the primary school years? Children with ASD can be missed during the preschool years. 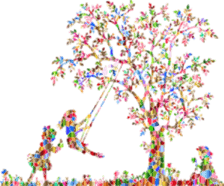 Later diagnosis may occur if the autistic symptoms are subtle. The autistic signs may not have created concerns until the structured learning environment of a primary school setting has highlighted them. Teachers may be able to identify possible autistic signs in primary school-age children. They have the experience to see the wide range of skills children can present with in a classroom. If a child is even outside this natural variation of skills, personality and anxiety levels they may ask questions as to the possibility of ASD. As autistic characteristics include communication and social difficulties teacher may be able to see potential atypical presentations at the different ages within the primary school years. Teachers can watch children interacting together in different arenas (meeting and greeting, quiet work, group work, playground interactions). Many school-age children are referred for specialist assessment when teachers become concerned with their observations of a child’s learning, social and interactional levels. Investigations of social and interactional development and road blocks. Consultations with teachers and principals to help their understanding of the strength and areas needing support for individual children with autism. 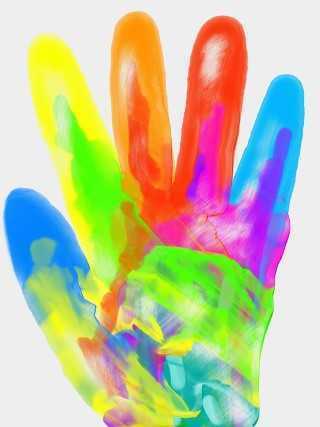 Therapy to support social communication – making and keeping friends. To assist in the understanding of the types of sensory stimuli that can distract or distress a child with autistic characteristics. 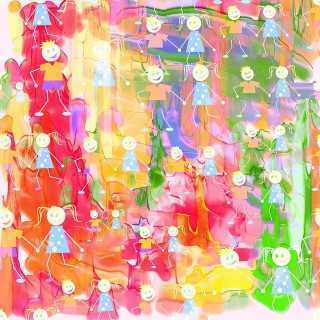 To assist the school in understanding that autistic children may not be ‘deliberately being naughty” but may be reacting to unexplained changes or anxiety. Sometimes providing small changes in classroom or school processes can assist autistic kids e.g., more time to finish tasks, opportunities of more repetition of new learning tasks, teaching vocabulary before it is integrated into a lesson, providing a retreat area (e.g., a quiet reading corner) if a child is feeling overwhelmed or sensory overload, providing visual prompts for steps and daily activities, giving warnings before transitions between tasks are required. Assist the school in identifying if and what kind of support may be required. The signs of Autism in the Preschool years in ages 3 - 5 years. Up until the year before formal school some families will keep expectations of a child low. “She is still just a toddler, she will be right”. Then there is a realisation that this is the Pre School year. The idea that Kindy, Prep (or whatever people call the more structured formal schooling year) is coming up, can spur parents to really observe “how ready is their child”. Might not become fully obvious until they reach pre-school when suddenly differences and developmental lags between them and their same-age friends becomes more pronounced. Signs of Autism in 3 years, signs of Autism in 4 year olds and signs of autism in 5 year olds can all look slightly different. There are slightly higher expectations to get “school ready” placed on children as they get older which can highlight autistic features more. The unusual behaviour, disinterest in other children and lack of talking can no longer be put down to them just being “babies” or “toddlers”. Many children by the pre-school year have already received a diagnosis of autism. The signs of autism identified in the toddler years frequently persist into the pre-school years. Repetition of the same words or phrases over and over. These words or phrases may remain the same for long periods of time or can be used intensely for a day or so before it is superseded by a different phrase. May appear to want to ask for something at times but then not able to co-ordinate their speech. Receptive language or understanding concerns can become a more obvious sign of autism in the pre-schooling years. There is an expectation to know colours, shapes, positions (under, over, on). An inability to t understand simple directions, statements, or questions can be a sign of autism. Children begin to play with humour (and begin to find “toilet talk” such as wee-wee head funny) in the preschool years. A sign of autism can be a lack of understanding of intended humour. They are often literal and miss hidden inferences, irony and sarcasm. A mis-match in the facial expressions they use and what they are actually saying or meaning. Eye contact is likely to continue to be poor. 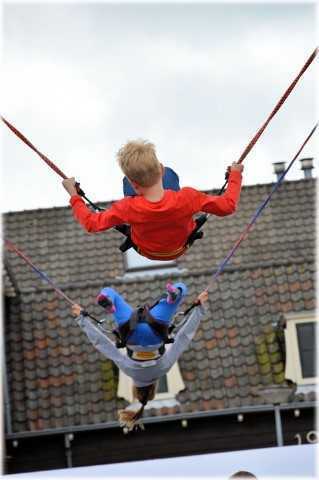 Strong reactions to sensory input can continue (e.g., sights, smell, textures of sounds). Signs of autism may be brought to the forefront. Sensory overloads from too much noise or stimuli may result in behaviour and other negative reactions to be triggered. 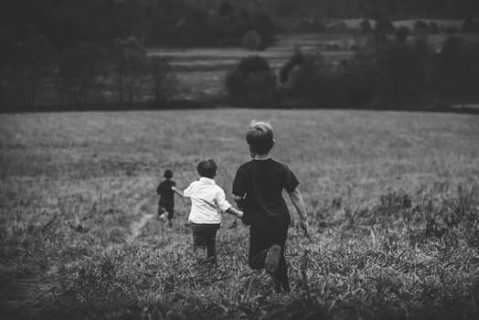 Other children may start to notice that the child with autism is distance or “ignores them”. The child with autism at preschool may “annoy” others if they are hitting out or taking somethings they want off others seemingly with a carefree attitude. They find playgroups etc. difficult if they do not want to be touched by others. However, in areas such as indoor play or sandpit play children are often in close proximity. 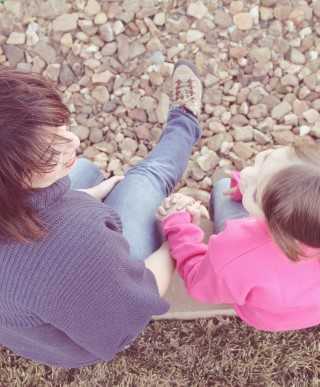 Children may attempt to cuddle them and children with autism may not respond or respond negatively to such approaches. ​May find having to move from task to task (transitioning) extremely difficult. E.g. from indoor book reading to outdoor activities. While Kindy and Prep classes have a certain amount or routine there are often many reasons for schedules to change (sports days, a concert to attend, a teacher is sick or away). A sign of autism can be difficulties in adapting to any changes in schedule or environment (e.g. throws a tantrum if the desks or furniture are rearranged). Play skills frequently continue to be delayed or atypical. e.g. to toys or strange objects such as keys, light switches, or rubber bands, opening and closing doors/windows. They may show interest in “unusual” objects that move (e.g., motors, fans, wheels on vehicles rather than driving the toy vehicles, brands of cars, often they can develop very narrow interests and only want this interest to be met. We are able to provide an individual treatment plan for your child to meet their learning needs and to assist them to participate in their particular community. Signs of Autism in Toddlers can become more obvious to parents and professionals than they may have during infancy. Physical developmental milestones such as sitting, crawling and walking are often achieved at expected ages in children with autism. These areas are less likely to be impacted on by signs of autism and so parents may not be expecting concerns to arise in other areas of development. 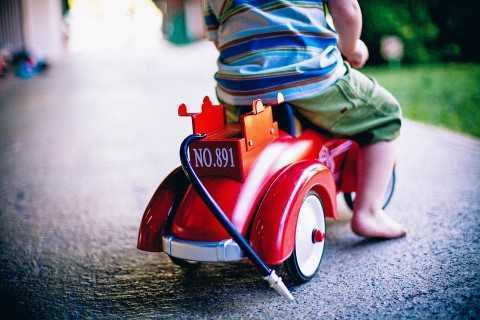 ​However, “More is expected” of a child from 2 years. We are expecting their play skills, talking skills and ability to understand expected behaviours to show rapid development during the toddler period. This is when signs of autism can become more apparent. Developmental milestones in areas such as play, speaking skills and behavioural expectations may begin to show atypical progression. Difficulties in these areas can be warning signs of Autism in Toddlers. Autism also known as Autism Spectrum Disorder (ASD) Can be diagnosed from two years of age. ​Diagnosis usually involves many specialists and professionals assessing for signs of autism in toddlers – this is called a multidisciplinary assessment (paediatrician, speech pathologist, psychology). 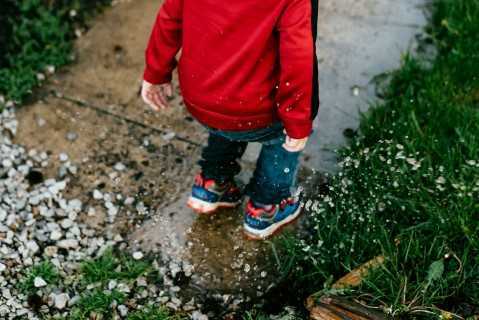 ​One toddler with autism will not have exactly the same symptoms as another child with autism—the number and severity of signs symptoms can vary greatly. As a parent of a toddler is it important to observe and check milestone development in areas of speech, understanding, play and behaviour. The earlier the signs of autism in toddlers can be detected, the quicker essential early intervention support can begin. Key signs of Autism in Toddlers to look for. Our What is Autism page highlights that atypical communication, interaction and repetitive & restricted behaviours are the key signs of autism. Let’s look at what these signs of autism might look like in toddlers. ​Many of the red flags or warning signs of Autism in Babies will continue to be present in the toddler period. Some other signs that begin emerge are discussed below. Children with Autism generally have several signs in each of the areas. Children may have some of these signs but not a sufficient number to obtain an Autism Diagnosis. If you have questions about Autism, contact your GP and/or obtain a Speech Pathology developmental assessment. Do Toddlers with Autism speak? Autism by definitions involves difficulties communicating. Therefore, all toddlers with autism will have communication issues. There is a lot of variation in the severity of signs of Autism in Toddlers. Some children develop spoken language, others have severe delays in using spoken language and some will require alternative means of communicating other than talking (iPad talkers, picture boards, sign language). 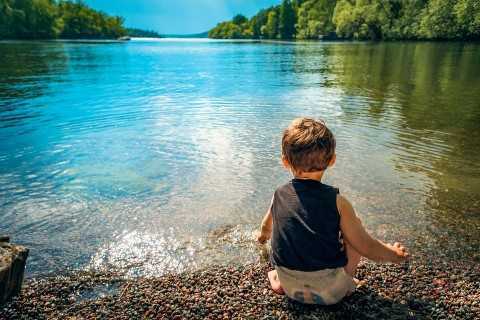 ​Is being a late talker a sign of Autism in Toddlers? Not all late talking toddlers have autism. Late talking has however been identified as an early warning sign for autism. 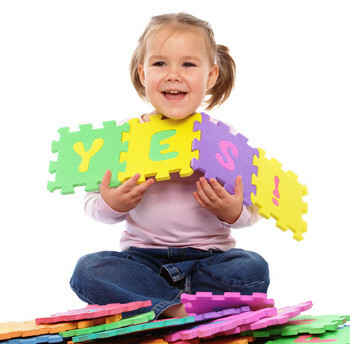 ​If a child is not saying single words by 16 months a Speech Pathologist may need to be consulted. By two years of age a child saying less than 50 words would be considered a late talker and consultation with a Speech Pathologists is highly recommended. 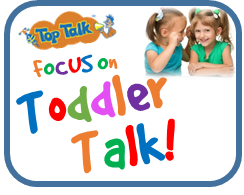 2 years old toddlers typically can be saying over 200 words! An assessment for the presence of other signs of autism could be warranted if a child is presenting as a late talker. A 2017 study by Chenausky et.al noted that a number of studies have documented toddlers with ASD tend to have lower vocalisation rates (talk less) and delays in learning how to say sounds (consonant acquisition) in speech. This further suggests signs of autism in toddlers may be reduced speech sound development resulting in reduced spoken words that can be understood. If my Toddler is talking can I relax that they do not have signs of Autism? Some toddlers with autism can say words and they can be quite clear. This does not rule out autism. It is necessary to see if they are using their talking to communicate with others. A sign of autism in toddlers that “appear to be talking” is that they frequently repeat exactly what others say without understanding the meaning (often called parroting, echoing or echolalia). They are not using talking skills in the typical developmental manner to “chat” with parents and peers. A child’s understanding skills are typically a step ahead of their talking skills. It can be a sign of autism in toddlers when this is not the case (e.g., a child is imitating words over heard from parents, strangers or a favourite TV show but is not really able to understand questions or follow instructions). 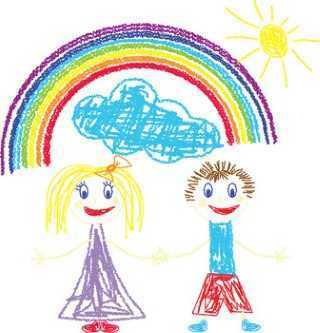 Davidson & Weismer (2017) concluded that relatively more delayed comprehension than production (talking) may be an age-specific marker of ASD in toddlers. 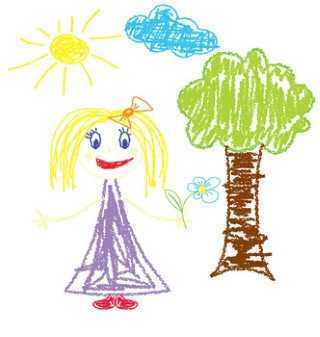 This sign of autism in toddlers was strongest at about the 30 months-age mark (2 ½ years of age). Signs of autism in toddlers that are actually saying words can include “mixed up sentences”. The words in their sentences may be mixed up or they make grammatical errors such as incorrect pronouns. For example, a toddler with autism may refer to themselves as “you” and use I to refer to other people. The inability to start and maintain conversations with others can be a sign of autism in toddlers. They are happy to continue with their own activities and do not seek out others to interact with. This doesn’t mean they will not come to you for help to open a packet or fix a toy. However, they rarely use words to ask for help even if they have said the word/s before. They often do not seek eye contact as they are asking for help and may just give the object to the adult. They may have a good memory and say lots of rote things, even at high levels e.g., recite the alphabet, counting out loud, singing favourite songs or the sayings from ads/TV, the long names of all the dinosaurs or other area of high interest. However, they often cannot use these skills functionally e.g., use sounds of the letters to read or spell. Another sign of autism in toddlers is the loss of communication skills they had acquired in infancy. Some children may have shown some communication development in infancy, but around the age of 24 months they may then begin to lose both their language and social-interaction skills (i.e., their communication skills regress). Chenausky, K., Nelson, C, Tager-Elusbuerg, H. (2017). Vocalization Rate and Consonant Production in Toddlers at High and Low Risk for Autism. J Speech Lang Hear Res, Apr 12; 60(4): 865-876.Davidson, M. & Weismer, S (2017). A Discrepancy in Comprehension and Production in Early Language Development in ASD: Is it Clinically Relevant? J Autism Dev Disorder. Apr 26. Poor eye contact frequently continues to be present in toddlers with autism. By 2 years children will often “guess” if mummy or daddy is happy, sad or mad based on their facial expressions. “I just need to look at her and she knows she shouldn’t touch it”. However, children with autism often do not react to parents’ facial expressions. In fact they often have poor use of facial expression themselves. Participating and seeking out joint attention is often not present in children at risk of ASD. For example, a sign of autism in toddlers is when they do not look at objects or events a parent is looking at or pointing to. They do not bring toys or point to objects to get other people to look at what is interesting them. They may be unaware or uninterested in what other people around them are doing or feeling (e.g., seemingly limited reaction or empathy for others). 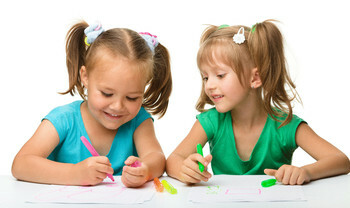 Toddlers may have difficulties finding and maintaining friendships. A sign of autism in toddlers can be a total lack of interest in even trying to make friends. Sensory concerns have been identified as signs of autism in toddlers. Toddlers may be highly sensitive or not sensitive at all to smells, sounds, lights, textures, and touch. They be over sensitive or under sensitive to temperatures or pain. Often a sign of autism is how they interact & look at toys. They frequently lift the object to the corner of their eye or bring it very close to their face. Some children with find it hard to change routines. It may be hard to establish new routines if they start daycare. They might set up “rituals” e.g., blue cup before bed and can extremely upset if this ritual is broken. Repetitive behaviours that have little function except some feed back to the child may begin to emerge e.g., rocking, spinning, twirling fingers at the corner of their eyes, walking on toes for long periods of time or flapping their hands or arms. 4 Comprehensive Steps that help you build a strong Speech & Language Foundation. A Crucial FOCUS In Speech development. FOCUS on essential pre-speech skills needed to boost early speech development and prevent your child becoming a late talker. 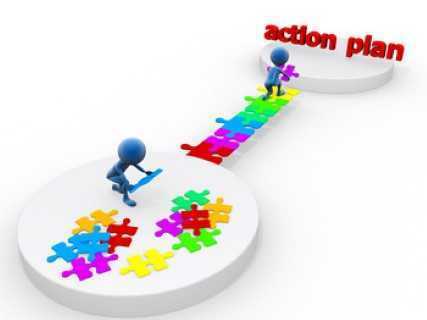 Let Dr Sandra McMahon explain through video tutorials each steps FOCUS so you have a clear understanding of the goals and purpose of each step and the activities. ​Get to know your child's personal development each step of the way with easy to use online checklists with automatic results. 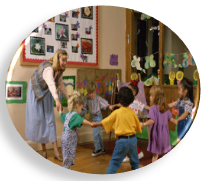 ​FOCUS on activities that highlight important social aspects of learning to talk and learn. Build and strengthen social and emotional skills. FOCUS on activities that highlight the importance of understanding language. Understanding comes before talking. FOCUS on activities that assist your toddler to say the building blocks of words - speech sounds improving speech clarity. 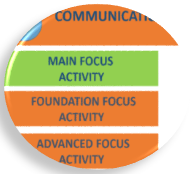 3 Levels: FOCUS on your child's needs. At each step the games and activity instructions are customised to each level. Move through the levels of each step as needed. Everyday routine activities specific to each steps FOCUS. Easy ways to keep the FOCUS of the step in your busy schedule. 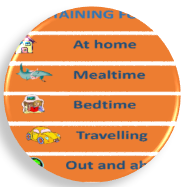 Specific activities to share with family, friends, playgroups or childcare providers. Introductory Offer - Limited Time Only! BUY THE PROGRAM AND GET STARTED NOW! Identifying Autism in babies before the age of 2 years is often difficult to spot. ​There is a reason that so many health nurses, doctors and parents look at developmental milestone checklists. It is not to big note the fast developers or put pressure on parents to “teach skills to keep up with the other babies at playgroups”. It is to help identify any potential concerns including autism in babies. they generally don’t have particular face shapes or other “physical signs”. Often in the early baby stage they present as physically healthy babies. They can even be undemanding as they are not seeking attention. ​Identifying autism in babies is often more about noticing that they are “missing” common developmental milestones on checklist rather than seeing atypical signs. This is why regular developmental checks are vital. Research clearly shows early intervention is essential for children to meet their full potential. 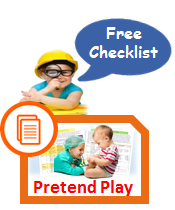 See our Checklist and milestone tab for online early milestone checklists. ​Red Flag Warning Signs of Autism in Babies under 18 months. If we think about “What is Autism” we instantly know we should be looking at early social and interactional cues babies give us as we interact with them while feeding, dressing and playing with them. To receive a diagnosis of Autism a child has to show deficits in social-interactional and communication development. Remember all other medical or environmental factors need to be eliminated before autism is considered (e.g., ear infections, brain injury). ​What might social concerns look like in babies with autism? The following provides some social and interactional communication warning signs. Remember if a child does not have some the skills listed in does not mean they have Autism. There are many causes of reduced communication skills and Autism is only one of them. If you have concerns about a baby’s development it is important to seek Medical advice. These signs are not exclusive however are aimed to provide a starting point to consider when looking at a baby’s development. Full developmental checklists and medical professionals should always be consulted if concerns arise. · During bottle, breast feeding and change times babies typically look at who is feeding/ dressing them a lot of the time– early lack of eye contact during these close interactions can be a warning sign. No back-and-forth sharing of sounds e.g., no babbling, smiles or efforts to make more sounds if you copy their babble sounds. People often comment at 9 months “I know it’s babble but it is like she is trying to have a conversation with me!”. This frequently does not happen with Babies with Autism. Smiles or other facial expressions are limited and/or not shared in back-and-forth playful interactions. Interaction with babies of this age should be “fun” as you can get a reaction from them as you play peek-a-boo or make toys appear and disappear. This again is often limited or not present with autism in babies. You often get limited or no reaction to your attempts to have “fun”. They often do not imitate early physical movements or facial expressions. Babies will typically make a noise or bang toys or look at you expectantly at 9 months to show they want to initiate an interaction with you. A key characteristic of Autism is a lack this initiation of social interactions. 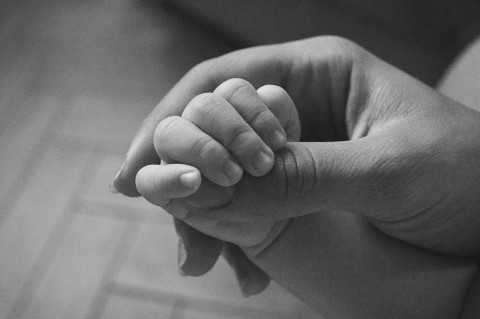 Babies showing signs of autism often do not respond to cuddling or reach up to “tell you” they want to be picked up. By 9 months at the latest babies should be following with their eyes as you move around. They will track with their eyes as you move a toy from one side to another or up and down. Babies with Autism often show a lack of visual tracking. Lack of response to name. All children will avoid turning to their names on some occasions. This may occur particularly when they are engrossed in an activity. However, by 12 months of age a child typically turns or acknowledges that they are being called on most of the time. Babies and children with autism often do not or rarely respond to their name. Lack of early non-verbal communication: Typically gestures, such as pointing, showing, reaching, or waving are in regular use by 12 months to communicate joint interest, wants and needs. Babies with Autism may lack understanding and use of non-verbal communication acts. No first words. Children at 18 months would typically be saying a least 20-30 spoken words. If first words (not counting “mumu and dada”) are not in place by 16 months we suggest contacting a speech therapist for suggestions on early intervention. SpeechNet conduct Babies Talk Too Groups to give parents and carers of all children ideas to boost communication and social skills in young babies and toddlers. 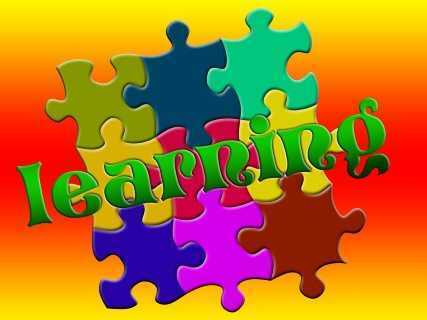 Loss of words/skills - Some parents of Babies with Autism notice a loss of skills. For example, first words or waves might have emerged however the child then appears to stop saying or using the communication skill. Doesn’t follow simple instructions. Babies with autism often appear to “ignore” verbal instructions from an early age. For example, young children very quickly understands the expected response if you say “give it to me” and extend your hand for them to place something in it. Children with Autism often will not respond to this type of request. In addition by 18 months children typically are pointing to or retrieving named objects (e.g., where’s your teddy, get the book, point to the puppy picture). Babies with Autism again tend to ignore or do not respond to verbal requests. SpeechNet Speech Pathology can assist in discussing and providing an early developmental communication checklist if required. 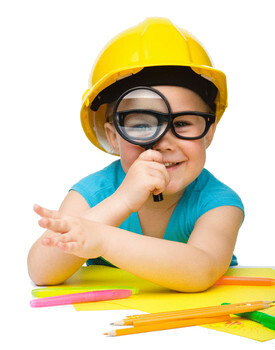 Documentation of skills can assist in monitoring developmental changes. We provide an infant feeding clinic for children that have difficulties with breast and bottle feeding. This sometimes occurs with babies with autism. For example sensory and hyper sensitive gags may be present.